Discover whole new array of exciting flavors by pairing your steak with A.1. sauce. Dip the steak in the sauce or brush it on the loaf while grilling. A.1. Original Sauce locks the moisture of your steak inside, and lets you relish the juiciest loaf of meat ever! With combined flavors of tomatoes, crushed oranges, garlic and intricate mix of spices A.1. 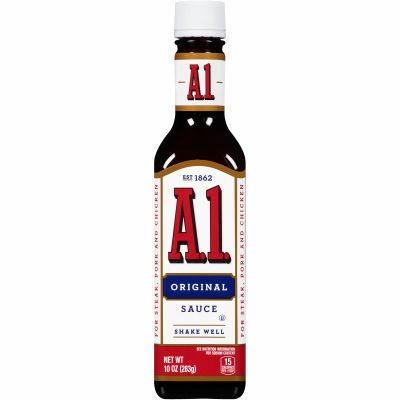 Original Sauce is the only sauce that serves justice to your steak!Steak Sauce to the Steak HouseEven the most prestigious steak houses are unable to provide the taste you can achieve by A.1. sauce. So take it with you next you visit them and double the taste of whatever you order. Pour it over or on the side, the sauce will do its magic anyways. Serving size 1 Tbsp (17g).